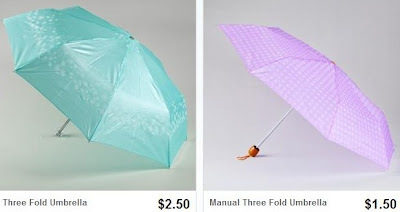 $1.50 Umbrella Blowout Sale + Possible FREE Shipping! Wow, head over to Totsy and check out their "Umbrella Blowout" sale to find a large selection of nice umbrellas starting at just $1.50! There are many different styles to choose from and you'll get FREE shipping if this is your first order within 30 days of creating your account!